This statistic shows the life expectancy at birth of residents in the United Kingdom (UK) from 2000 to 2017, by gender. Life expectancy increased consistently for both genders during this time period. The life expectancy of women was higher than that of men for the entirety of this period, although the gap did decrease. 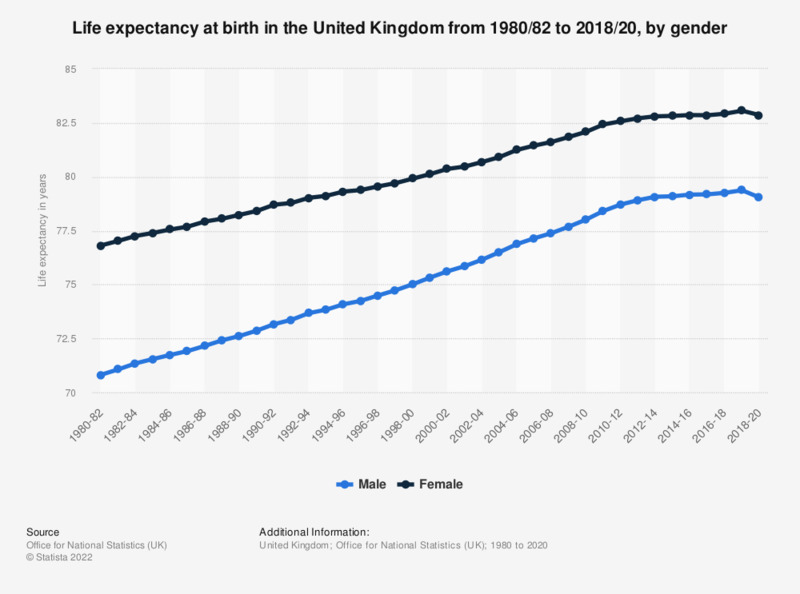 Further information specific to the United Kingdom regarding life expectancy, by gender and country is also available, revealing that out of all of the countries that make up the UK, the highest rate of life expectancy could be found in England. A difference of several years exists between life expectancy of baby boys from England and Scotland.